The nice lad who wrote article on the Swiss vehicles, Mizutayio, has offered himself for a Q&A about Swiss armoured vehicles. If you have any questions related to Swiss armoured vehicles and how they could be implemented in World of Tanks feel free to put them in the comment section, Mizutayio will pick the Qs and then send me the answers to publish as soon as possible. oh oops that’s a Swedish tank… can I delete my comment? I can do it for you, second. ok. real question though, Are there enough Swiss tanks to be in the game on their own tech tree WIHTOUT having 60% of them as paper tanks? The present tree was not yet updated to include the paper Laupen tanks, but it would allow to slightly modify the Light / Medium branch. Are there enough original Swiss tanks to completely create a new tank line without many of the low tiers being just modified copies of german tanks and only higher tiers being somewhat unique ? Technically the low tier Germans are copies of the Czechs…. LOL!!! What Tank beside Pz 35 t, Pz 38 t (and ofc the TDs and SPG which based on this Tanks) was a Czechs tanks? Let me guess… you are chzech…. right? LOL! What tanks beside Pz 35t and Pz 38t (I don´t count the TDs and SPGs based on this tanks axtra) are Czech tanks? Let me guess…you are a proud czech…right? First of all those are the tanks I was referring to anyway. Secondly I’m British and have no history or relation to any Czechs at all. Thirdly maybe you should stop assuming everything and confirm before opening your big mouth. I didn’t say ALL the low tiers. I said the low tiers. I did not specify at all as I thought it was pretty obvious to anyone with knowledge about tank history as to which tanks I was referring to. Are there enough Swiss tanks to create a new line without many of them being just modified copies of german tanks (mostly low tiers) and just a couple of them (higher tiers) being somewhat unique? The Indien-Panzer is not related to the Panzer 58, even if they look similar. What type of vehicles can we expect from the swiss interms of roles and strengths or weaknesses? I would like to expand that question a little bit. What type of new roles tested at SandBox can we expect from Swiss tanks (all posibilities for all lines)? are the swiss top tier tanks(tier 9-10) more unique or they are just upgraded version of the pz58 mutz? any new info on those swiss concepts found 2 years ago? What would the Swiss emblem look like? What Swiss TDs and/or heavies were planned or developed? Are there any general similarites between them? Is the Panzer 68 WoT viable? Or is it too new? What will be the so called “flavor” of the Swiss tanks? Would there be room for the tank destroyer project Taifun? And also will the Panzer 58, 61, and 68 get historical upgrades unlike how the Mutz was treated? the line swedish will have statistics and roles for current system, or subjected to an exclusive Sandox? No1. Will it be a subtree in the german branch or will it be a indipendet tree like the czech / sweds will be? No2. Will the T1 tank will be the Renault FT as it is the first tank the swiss used? No3. What about the Panzer 68 ET project? No4. Will there be only Swiss tank in the techtree or will we see the swiss AMX 13 and the swiss Centurion tanks? So to reply based on it: it has enough material to be independent. As tier 1, we saw two possible candidates: Renault FT or Carden-Loyds MkVI. We managed to exclude the AMX 13 and Centurion, and leave them as premium tanks. Will you be planning to add the panzer 68 or 61 as the Swiss tier 10? From previous exchanges with Mizutayio, he suggested the Panzer 58 as tier 9, the Panzer 68 as tier 10 and to keep the Panzer 61, which is extremely close from the two other ones as reward tank. A previous suggestion made by anodjl was to place the Panzer 58 as tier 8, 61 as tier 9 and 68 as tier 10. Mostly as the 61 had an minor update (Panzer 61 AA9), allowing for some secondary modules (especially 2nd turret), but the three are such close to each other that they would look like clones (the Panzer 58 were converted in 61, and the 61AA9 are nearly 68). But at this time, we were not aware of the Laupen 30t and not aware of the development of KW30 in Panzer 58, allowing more flexibility in the proposed tree. Which tank in the theoretical Swiss tech tree is has the biggest top speed? Can the MOWAG Pirat be the next ELC AMX? Which vehicle in the theoretical Swiss tech tree has the highest top speed? Could the MOWAG Pirat become the next ELC AMX? Seeing as how all other nations lines are inferior to soviet tanks, do you believe this swiss line will be any different ? As pointed out previously, the Panzer 58 (and Panzer 58 Mutz) is incorrect in-game (it is a mashup of the first and second prototypes). Do you think WG will correct this, and how? Which way do you think would be better: making it the first prototype (sideskirts + removing one cupola) or the second one (switch to 20pdr)? Why is the Panzer 58 called Mutz? Dont found anything about this Name in the www. It’s Swiss dialect for bear, particularly the city Bern has it in it’s coat of arms. For how long will WG neglect the 100% realistic and vast Italian tech tree ? I mean for real, the Swiss ?! Another 100 % fantasy tech tree like the Czech one. Is it possible for you to release a full tech tree of tanks instead of 1 line and then adding another line a year later, and then the final line a year after that. What would you say might be the highlight of this potential tech tree? Will Toblerone be food consumable? Why did they call the Pz. 58 “Mutz”? Acroos the internet, there is no use for the name “Mutz” when speaking of the Pz. 58. And why the bear camo? I have a blast playing my Taifun in Armored Warfare. (imagine a E-25 but tier 10 in WoT). Hope it come to WoT! From what we know, the Taifun was first developed using the British 105mm L7 as gun, which is a rifled gun already present on numerous TX tanks in WoT. It was later updated with the Rheinmetal L/44 120 mm present on the M1 Abrams. Only the first gun would fit for WoT. 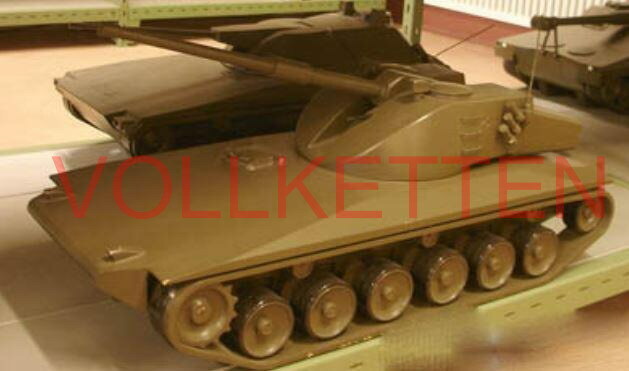 What are the news concerning the Worrilow tanks, Lansen tanks and Panzer 74?